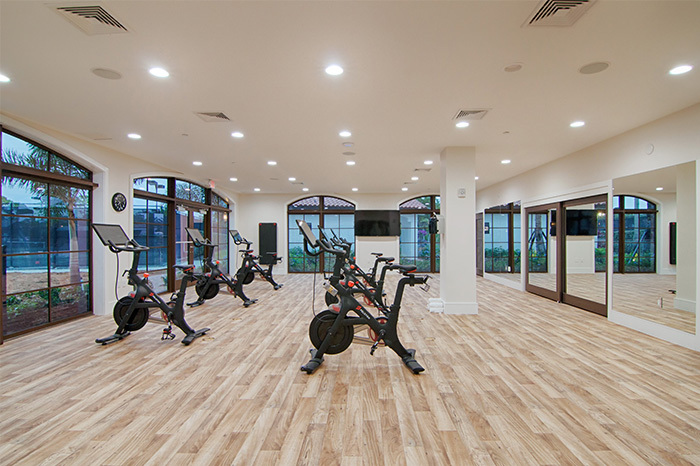 The newly renovated Studio at The Wanderers Club is home to an array of fitness classes and health & wellness opportunities. Take a spin class on our new Peloton bikes, or get your heart rate pumping as you partake in a cardio class with one of our renowned trainers. 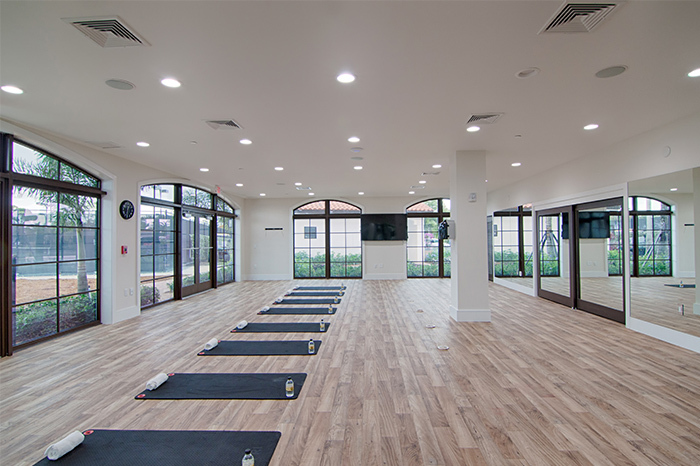 Yoga, pilates, and a variety of classes are offered in the Studio year-round. Floor to ceiling windows provide a perfect view of the pool deck and area. Classes and opportunities to use the Studio are available to members throughout the week.